In hydraulic system application, solenoids are generally working together with valves, e.g. solenoid valves. Thanks to the electromagnetic force, the solenoids can be used as the actuator to control the on-off, direction, or flow of any form of medium, such as gas, liquid, even slurry. The types of valves can be hugely various according to different classification standards, looking for a suitable solenoid for your valves can be frustrating. Kaidi provides the professional total solution of quality solenoids for all the hydraulic valves and other applications for your needs. Check the following solutions and find the right application that fits you. If your problem can not be solved with the following solutions, you still can go to the custom solenoid page to learn more about our customization service, or simply leave a message at the bottom of this page by filling out the form. Our professional team will reply to you within one business day. Please feel free to contact us! You may also upload images or other files for us to understand your needs well. To do this, simply click the green button and choose the file from your device. 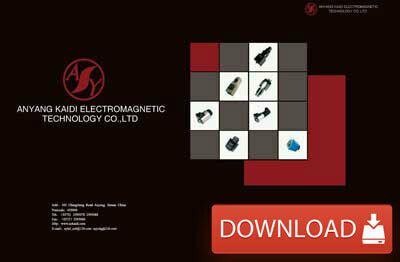 Anyang Kaidi Electromagnetic Technology Co., Ltd.